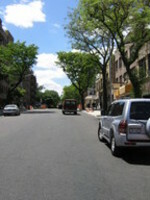 On Sunday, May 20, Prospect Lefferts United for Services (PLUS) brings you the greening of Lincoln Rd. With grant funds and donations from landlords on Lincoln Rd., PLUS plans to plant flower boxes and beautify the tree pits on both side sof the street. 40 Lincoln will also get some new shrubbery. To get all this work done, PLUS needs a whole lot of volunteers. If you are interested in doing some planting for your community, contact Lee Coker Holmes deealee@aol.com. Volunteers of all ages welcome (and encouraged). Caledonian Hospital was downgraded to a health center a few years ago. Now it's losing it's status as a healthcare institution altogether and the complex is for sale. 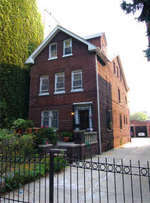 The complex at 123 Parkside Ave. includes four buildings and parking. Considering that this property lies right on Prospect Park, there's little doubt that a developer will turn it into condos - given the neighborhood there's no other logical use. Residential FAR is over 222,000 sqft. Stay tuned - a condo development of this size could spell big changes in the area. This might seem like a non-sequitur at first glance, but we think it's important to point out in the context of the type of officials that our district tends to elect. As reported in the New York Times, Marilee Jones, Dean of Admissions at MIT (Massachusetts Institute of Technology), was found to have fabricated a series of degrees. She claimed to have earned advanced degrees from Albany Medical College, Rensselaer Polytechnic Institute and Union College. In reality, she does not hold a Bachelors degree. MIT has fired Ms. Jones, even though the administration acknowledges her many accomplishments as Dean of Admissions. Firing someone based on lack of integrity and lying is the right thing to do, especially when the individual in question holds a position such that they serve as an example for the community. For our part, ATP is disgusted by the way in which voters in our district have tolerated (and elected) candidates who offer dubious explanations of their credentials and/or flat out lie about their achievements. What can we expect young people to learn from these people? As constituents, can we possibly expect them to make good on campaign promises? The likely answer is no, because folks who fall into the category of fibber will fib when the going gets tough, and/or lack the integrity required to negotiate with other elected officials to get laws passed. People who lie should be fired, not rewarded and trusted to govern. Brooklyn voters need to wake up. Born again (though not in the religious sense... we think) is Planet PLG, left behind when the original author decided to split from PLG. Today's PPLG post takes on the question: why does PLG fly below the radar? Is PLG destined to be the perpetual "next" hot neighborhood? PLG, arguably, has been slower to develop than other Brooklyn neighborhoods - but why? Our personal opinion is that population density plays a large role. Most rental buildings in PLG are low-rise with fewer units per block than in many places. Dovetailed with the single family covenant, the number of households per block in PLG is probably substantially lower than in places like Park Slope. Slow rental turnover is probably another reason - most neighborhoods that have taken off, like Williamsburg (cited as an example by Mr/Ms. 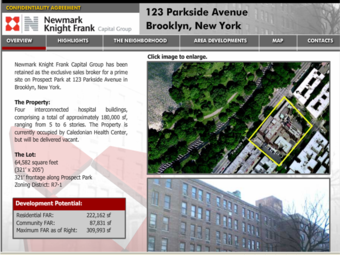 PPLG), are full of small buildings that are not subject to rent stabilization laws. We have a hunch it's new renters who generally bring new vitality to an area, as they're typically younger and less tied to their home by things like kids. Also, the first people to move into a transitional neighborhood (often leading the transition) are younger creative types. We hypothesize that without rental turnover, you don't get a whole lot of change. That said, we've noticed a ton a new younguns in the hood who are most likely renters. We don't think PLG will ever be like Williamsburg (which is a-ok), but we'll probably end up looking like the love child of Fort Greene and Ditmas, as PLG is probably dead center between the two in terms of population density and general attractions. We Sure Can Elect 'Em!! 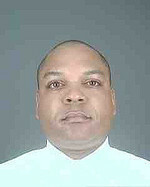 Our State Assembly representative, Karim Camera, was arrested for drunk driving in Albany. 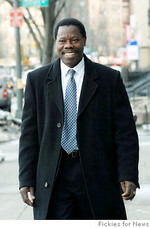 Camara, 35, D-Brooklyn, a Baptist minister whose Assembly bio lists him as executive pastor of the First Baptist Church in Crown Heights, was traveling west on Central Avenue at about 1:45 a.m. when, police say, he was spotted doing approximately 65 mph in a 30 mph zone and weaving. Officers who stopped him said he had glassy eyes, slurred speech and alcohol on his breath. Police say he failed several field sobriety tests but refused an alco-sensor at the scene and a breathalyzer at the station. We've all heard bits and pieces about life in those big ol' buildings on Ocean Ave. While the view is sweet, the management is sometimes a little bitter. It's a blog. For a building. Revolutionary, I know. If you live at 163 Ocean Ave, please feel free to share your questions, concerns, complaints, etc. Throwing a party? Let us know. Selling something? Let us know. Know whose kids those are who wander the halls and write on the walls? LET US KNOW. Suggest an article! 163 Ocean can be reached at 163ocean@gmail.com. Give it a whirl, 163 Ocean residents! Could this be the beginning of a tenant revolution on Ocean Ave.? Great site. I moved to PLG in April of 06 and have really fallen in love with the vibe here... I recently shot a commercial here in PLG (on top of my Lefferts ave apartment building in fact) for a NC recycling campaign. It's 30 seconds, stars Pete Karinen (of Pete and Brian's comedy show, recently of the 07 HBO comedy fest) and the lovely Elizabeth Laime. Hope you enjoy, thought your readership might want to know of yet another creative endeavor taking place in our little nabe. Youtube does not yet support embedding videos in typepad blogs, so you'll have to click here to see the ad. This one is growing on the corner of Parkside and Bedford. Though it's possible that it will have an attractive facade, it's unlikely. We have no idea as to intended use - residential, commercial, rental, condo - no idea. The lot behind the structure is also empty. With luck we'll get an ugly set of twins. The winner said he was eager "to get to the City Council to work very hard for the improvement of the people in the 40th District." Eugene still has to sign a sworn affidavit stating that he meets the criteria for taking office. We're hopeful he'll be able to deliver this time around. Yesterday, the former voice behind PlanetPLG closed the deal on the sale of his Ocean Ave. house. The new owner is a developer who never saw the house's interior. According to the seller, the new owner expressed interest in renovating the house's interior, possibly renting the house and eventually moving his family in. Others suspect that the new owner, having paid well over $1M for the house, intends to tear it down and build something new in its place. Neighbors fear that because the single family homes on Ocean are not in a historic district nor landmarked that tearing down the Planet house could set a dangerous precedent.